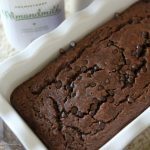 A grain-free Paleo Chocolate Banana Bread from the Whole Smiths brought to you by New Barn Organic Almondmilk. This recipe is sure to become a family favorite around the house! Oh bejeezus you guys. I can’t even tell you how freaking amazing this banana bread turned out. For reals. The only way you are going to know is when you make it for yourself. 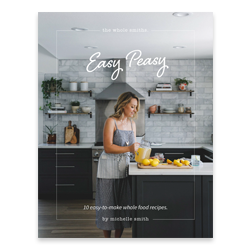 Luckily it’s the easiest recipe ever to make and you probably already have all of the ingredients in your kitchen. As you may (or may not) know, paleo baking is usually my nemesis. I find that so often paleo baking recipes require a zillion different flours and ingredients to create a sub-par version of it’s gluten-y cousin. It takes forever and even when I follow the directions to a “T”, the recipe flops. It drives me… bananas! 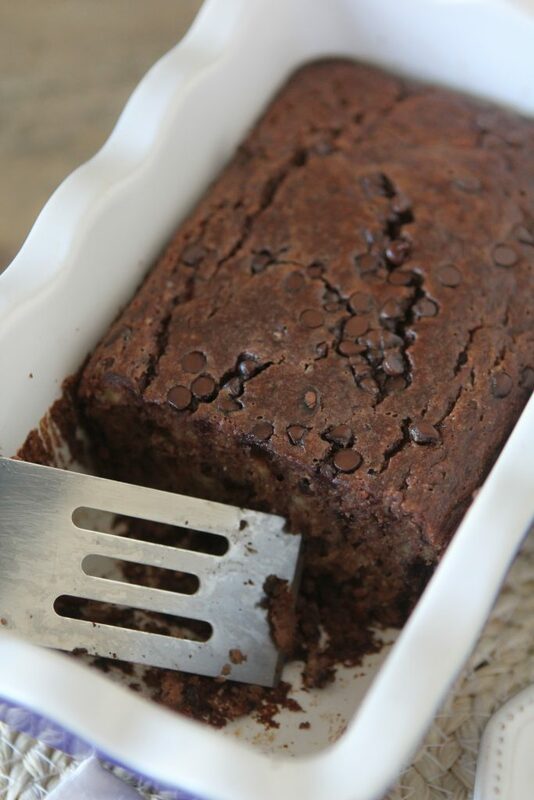 Which is why when I create a paleo baking recipe, like this Chocolate Banana Bread, it’s got to be easy and not contain a zillion ingredients. I don’t want you to have to search high and low for monkey bone flour (that’s not a real thing.. don’t worry.. or is it?). It also means it’s going to be freaking amazing. Like super amazing. Like so amazing you can give it to your friends and they won’t even know that it’s grain-free. And this recipe is all of that. In fact, I dare you to make this for a friend and see if they can tell it’s paleo. There’s minimal sweeteners in this recipe as it’s sweetened naturally by mostly banana. I also used New Barn Organic Almondmilk in place of traditional dairy. Throughout my paleo baking endeavors, I’ve found no difference subbing in almond milk for “regular” milk. As far as which variety of New Barn Organic Almondmilk I used, I stuck with the Unsweetened variety for this one. The truth of the matter however is that any of their varieties would work equally well in this recipe. Whether it’s the Barista, Vanilla or Unsweetened Vanilla, they would all work equally well. 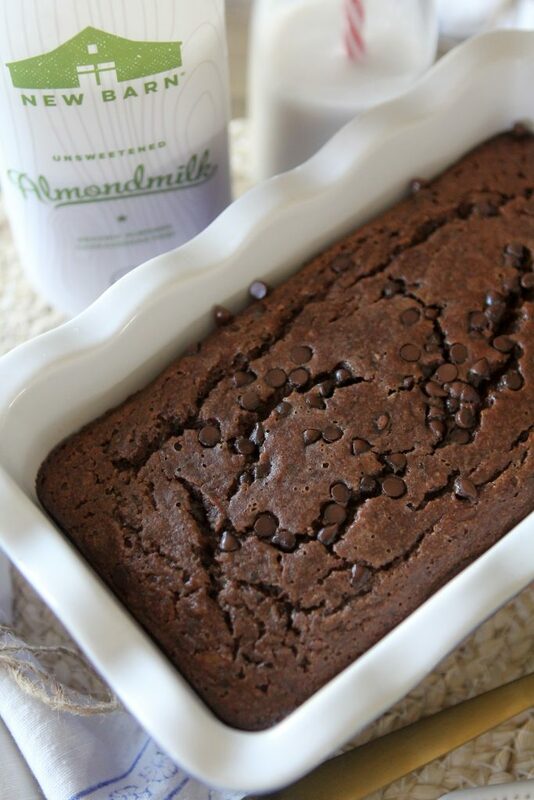 Here’s another reason I love my New Barn Almondmilk in respects to baking… the ingredients are so pure. There’s no funky additives, stabilizers etc. Their Unsweetened version is so clean it’s even Whole30 compliant. Because here’s what… if I’m going to to go through the trouble to bake myself a clean treat at home I don’t need anything funky monkeying it up. You feel me? 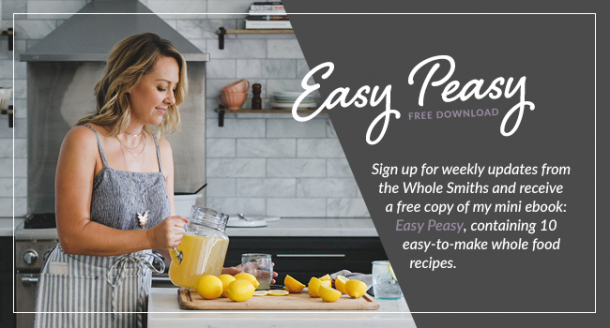 I wanted this recipe to be a clean for you and your family. It’s still treat, I wouldn’t eat the entire loaf in one sitting, but it’s something you can feel good about putting into your body. 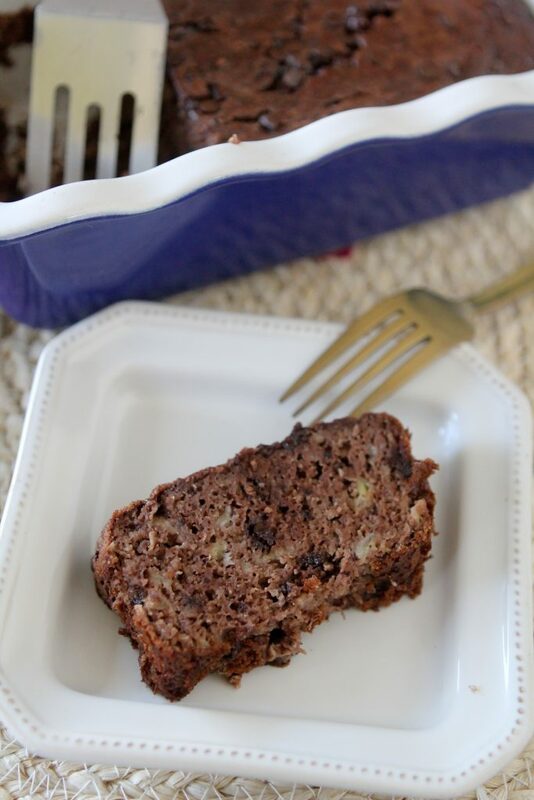 I don’t need no carrageenan messing with my Chocolate Banana Bread mojo. You can find the entire line of New Barn Organic Almondmilks at your local Whole Foods or use their store finder HERE. Next time you’re there, make sure to check the refrigerated section for them. Ok, on to the recipe. I promised you it would be easy so I don’t have too many cooking notes for you here. As far as the bananas go, make sure they’re ripe. 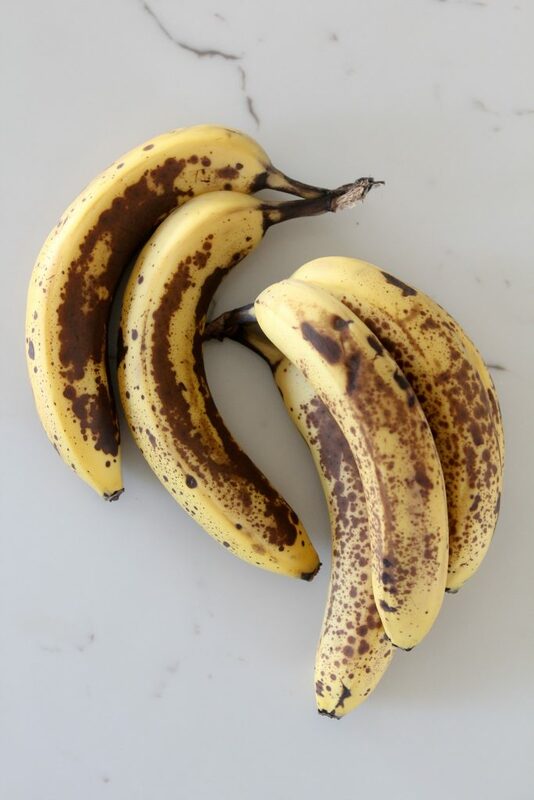 Personally I find the best bananas for baking usually have a lot of good brown spots on them. Not too many that they seem spoiled but a heavy amount, enough that you think to yourself. “Do I want to eat this plain, are they a little too ripe?”. Those bananas, those are the the bananas that are perfect for this recipe. As far as what mini chocolate chips any will work but I like to check my ingredients on these and use “clean” ones. You’d be surprised at how many additives can be thrown into one little chocolate chip. But the choice is yours and it will be delicious either way. Feel free to sprinkle a few extra on the top as well. Ok, enough yammering. Onto the recipe! 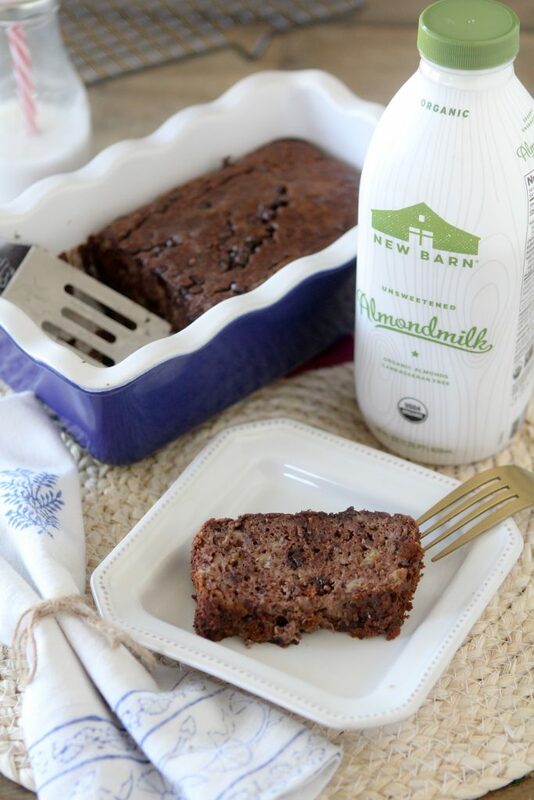 A grain-free Paleo Chocolate Banana Bread from the Whole Smiths brought to you by New Barn Organic Almondmilk. 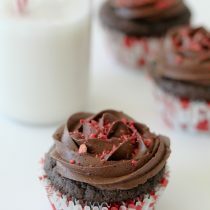 This recipe is sure to become a family favorite around the house! Gluten-free. Preheat oven to 350* F and lightly grease a loaf pan. In a large bowl add the bananas and almond milk and mash them well using a fork until incorporated. Add the almond flour, coconut flour, maple syrup, cocoa powder, eggs, baking powder, vinegar, and vanilla to the bowl and stir to combine thoroughly. Add the chocolate chips to the bowl and stir to combine. 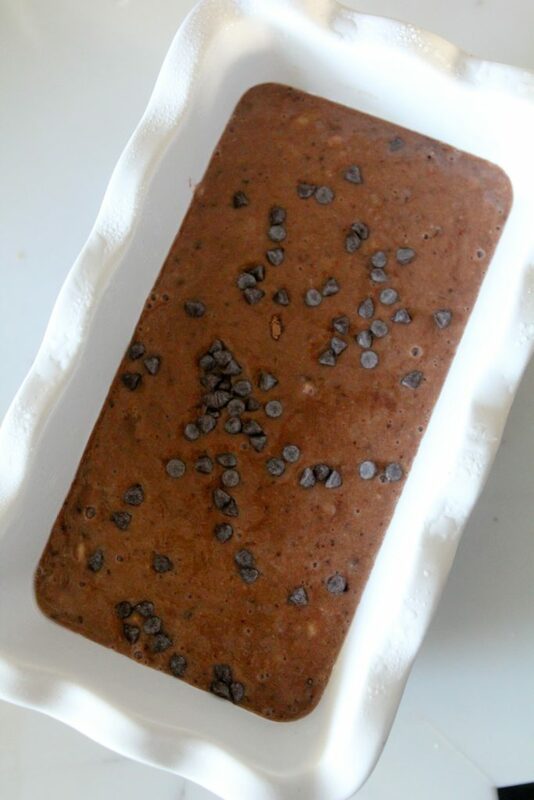 Pour the batter into the greased loaf pan and bake for 45-50 minutes until a toothpick comes out clean. Let rest 30 minutes prior to serving. I just made this and may I ask what sized bread pan did you use? I used a large, dark pan and my bread looks somewhat like a flat, brown paving stone. The flavor is good though! It’s chocolaty but the banana still comes through. I’m going to try again and hopefully it will look as pretty as yours. Hmmm, the pan I used was a pretty standard 8-inch x 4[1/2} inch loaf pan, mine was ceramic however. I’m not sure what went wrong with yours! It was a good thing I paid attention to the smell rather than cooking time because it took about 10 min less than what was suggested. The flavor is good, but not a prominent banana flavor for me. I would increase the number of bananas next time. This was my first attempt at a paleo baked good! Any thoughts if I am allergic to coconut?? Can I sub my gluten free flour in for your 2 other flours? Mine isn’t grain free just gluten free. Brand is namaste. I just don’t have or want to buy all those other flours/starches. 😉 thanks! I am allergic to almonds and most other nuts. 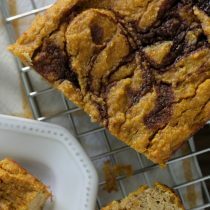 May I use coconut milk and all coconut flour in this recipe? Thanks! Do you know the nutrition facts for this recipe? I don’t publish the nutrition facts on my recipes, apologies. Can flax eggs be used to replace the eggs in this recipe? I didn’t recipe test it with that so I’m not sure how it would turn out. I made a triple batch yesterday morning because I had a LOT of bananas to use up….and two loafs have already disappeared! 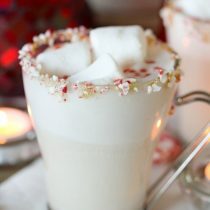 Great recipe….thank you! What brand of “clean” chocolate chips do you use? Can I bake muffins with this recipe instead of the loaf? What are the clean chocolate chips you talked about please? Where can I get them? We try to use all clean products. Thank you for that. 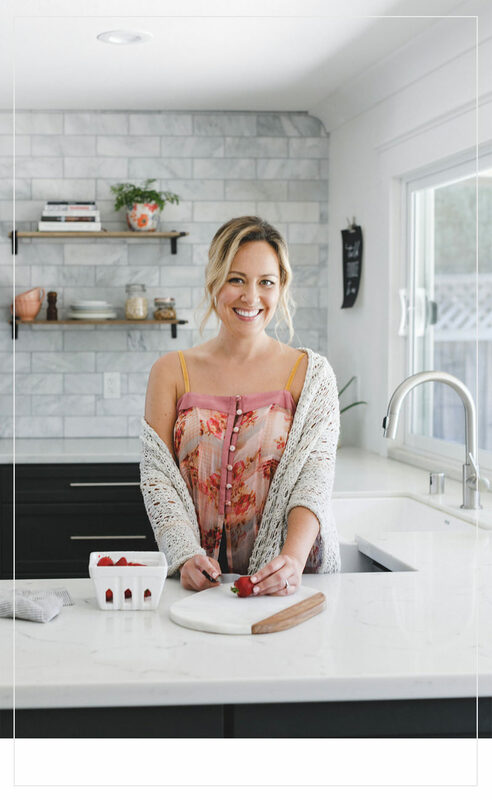 I just bought your cookbook for my daughter’s birthday. Gorgeous cover. These were really great. They did have a faint banana flavor which is not a problem, in my mind. I put in a heaping 2 T of cocoa for some extra chocolate goodness, AND I made these in silicone muffin “tins” and baked for 25 min. Perfect snack size and really yummy. Oh, and I did not have almond milk so just used water to mash with the bananas. Thanks for a great recipe! Yum! Could you substitute and use cacao powder or would you reccomend not? I love this recipe. I leave out the maple syrup and chocolate chips to reduce some of the sugar and it’s fantastic! Kinda eggy! Might use more bananas next time.